Needing an energy boost? Rejuvenate your living rooms with orange sofas in warm tones that will perk you right up. Orange is the color or adventure and social communication. 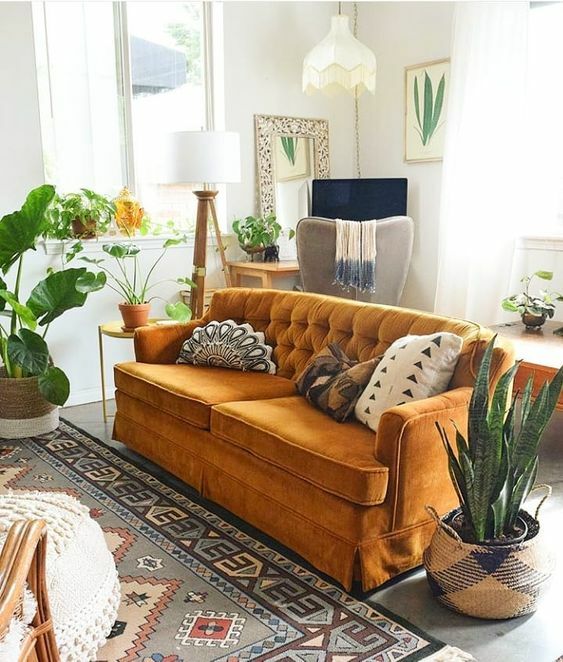 Be brave and reupholster a tired old beige sectional. 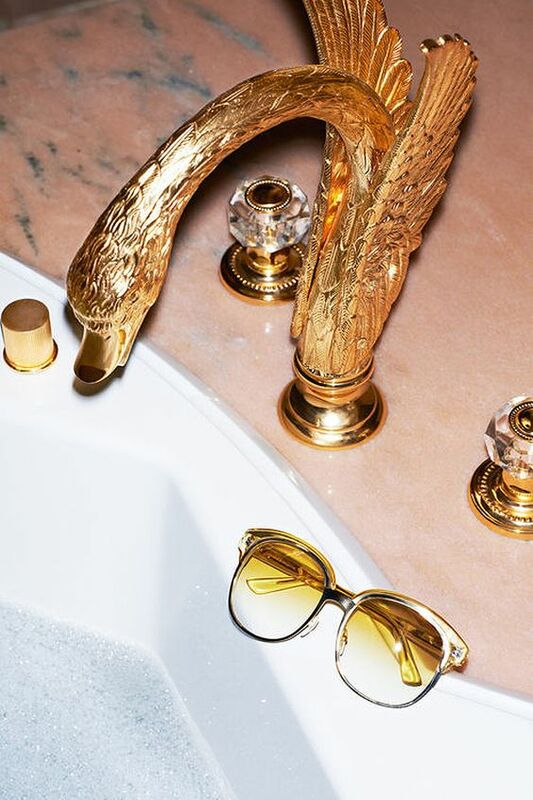 Mix in gold colors for an extra dose of enthusiasm! Outgoing and uninhibited, a large, attention-grabbing piece is perfect in the Feng Shui center of Fame + Reputation. 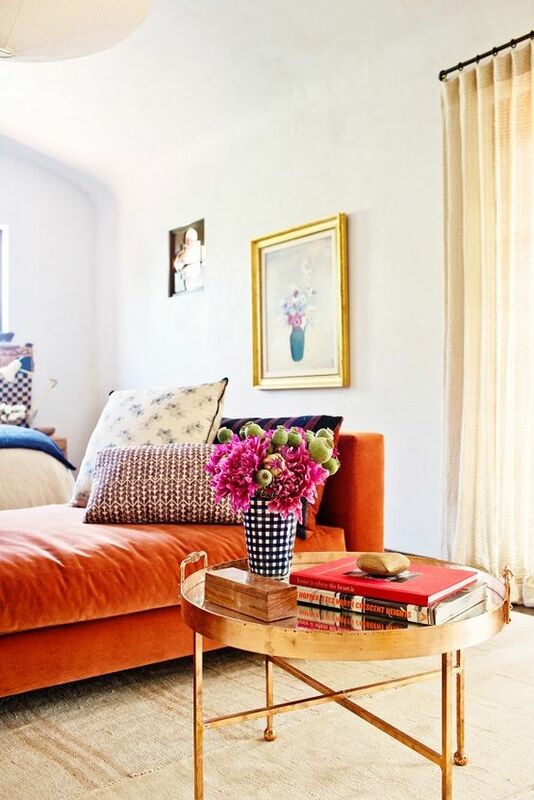 Orange sofas belong in the back center of a room to help enhance first impressions. This is essential decor for anyone trying to build a brand or network. Orange can be a very modern color, depending on the amount of minimalism you are using in your home. 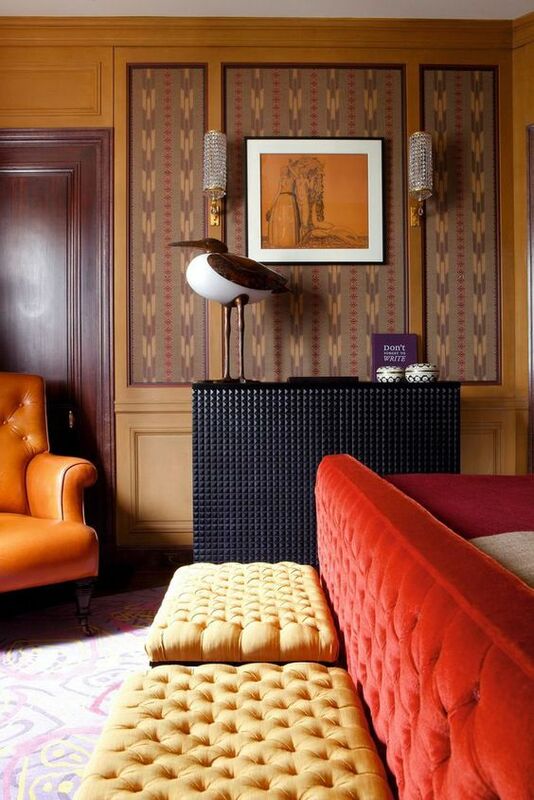 Warm up bedrooms with a chaise in this vibrant hue. 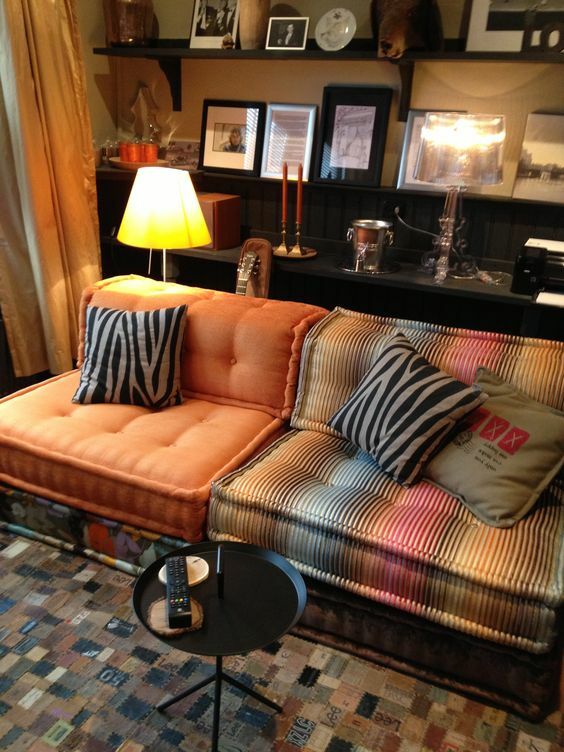 Orange sofas bring in fire energy which can enhance relaxation and sensuality. Create your own meditation-worthy space with a romantic table full of books and items that help you relax. Make your bedroom a place where you can retreat and rejuvenate. Keep electronics and work items in a separate room. 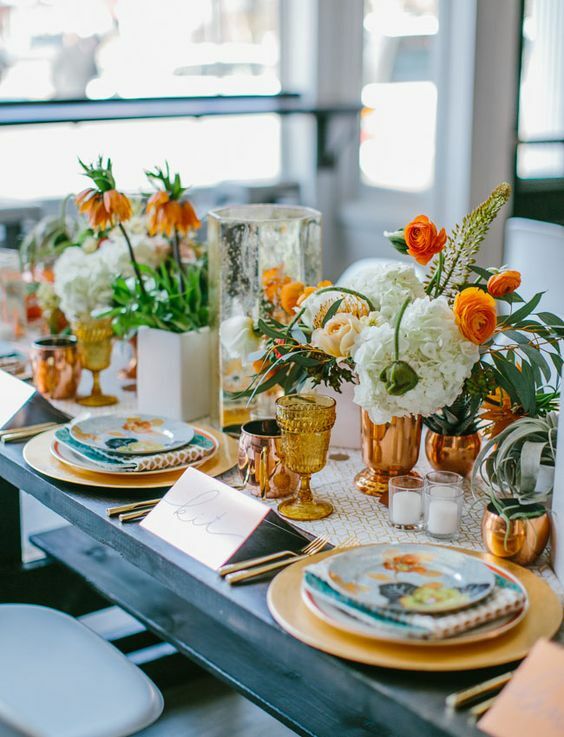 Orange is in the warm spectrum, so it is perfect in this space. Music Alert! Here’s a bright an sunny track from Les Deux that will cheer you up. You can also get the effect of orange without doing 70’s style decor. 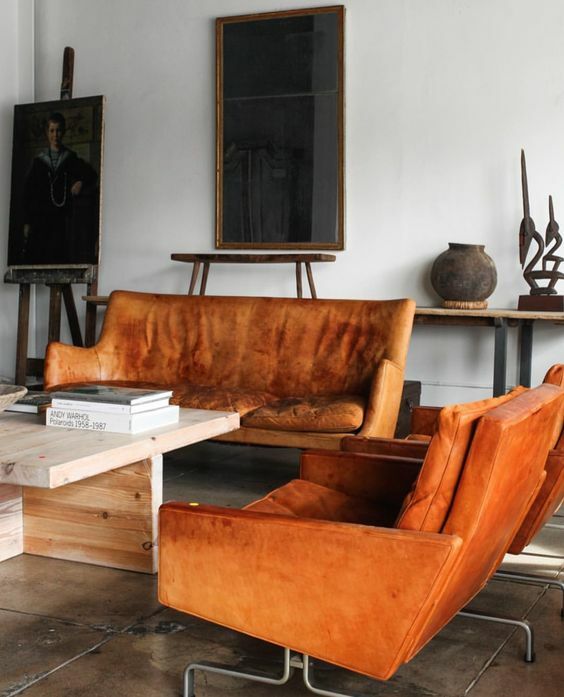 Orange sofas in soft leathers are comfortable and inviting. Be sure to purchase sofas in the highest quality of leather you can afford. The result is a long-lasting piece of furniture that continues to improve with age. In the 1970s, Hans Hopfer created Mah Jong sofas. 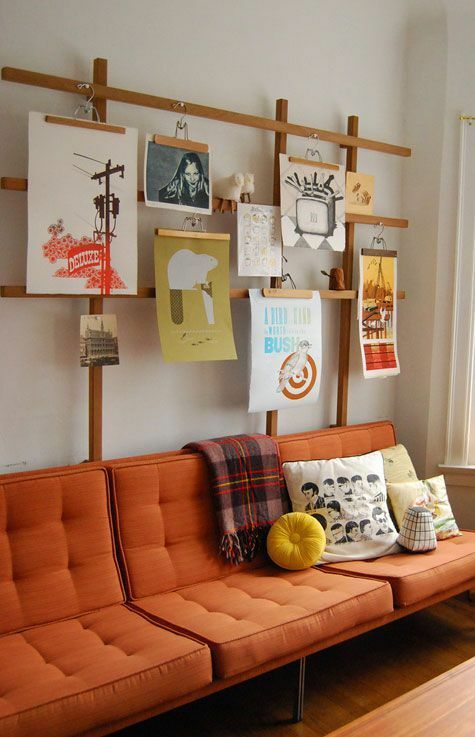 Loungy orange sofas that are modular like a Mah Jong are perfect for creative types. You can organize the sectional pieces however you like. We also love them in alternating fabric choices for a total Bohemian vibe. Check out Roche Bobois for a rich Mah Jong composition that will fill your senses with delight! If you’re doing apartment living and need the space, two easy sectionals gives the same effect. Orange is also a color that stimulates critical thinking. 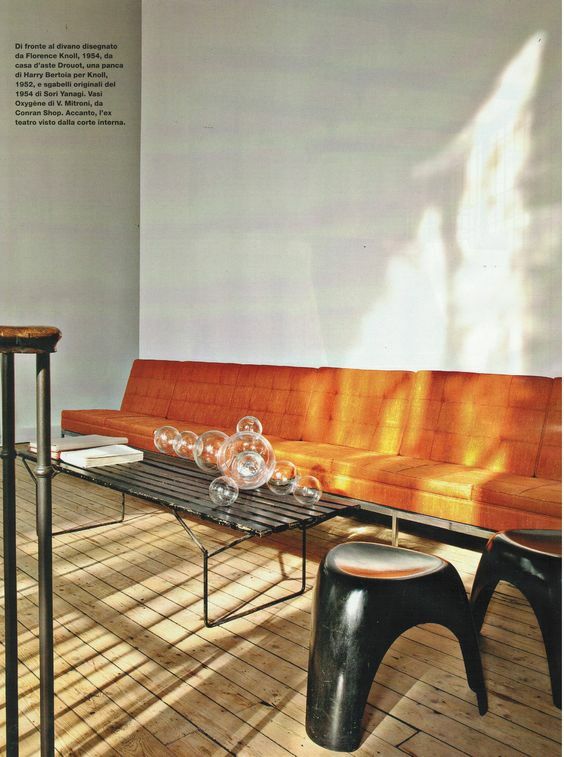 Place modern, orange sofas in a family room or office. 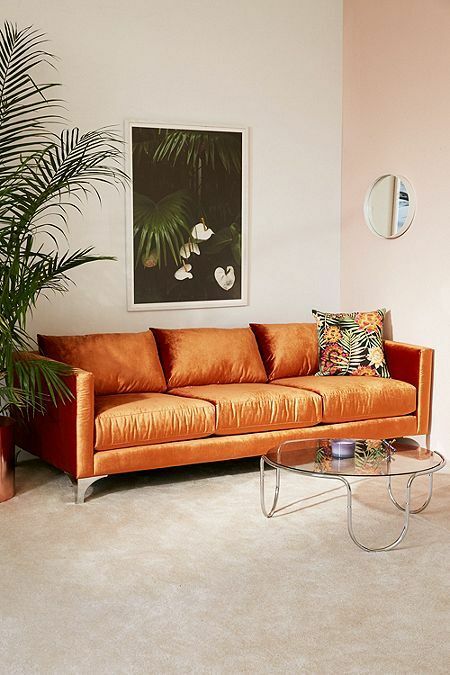 Mid-century modern orange sofas are the right combination of hip and comfortable. Take a look at our favorite mid-mod vintage finds for as little as $165. Our favorite for the office is a custom daybed in tweed. Use our inspiration guide for gallery walls and create a meditation nook that encourages creative thought! Colors certainly have an effect on us and play an important role in our decor. Garner the enthusiasm and optimism orange sofas can bring into your life. 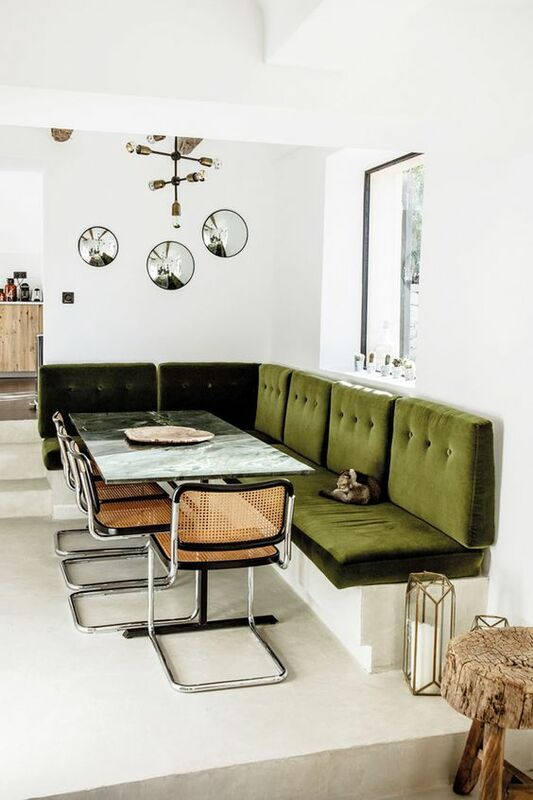 Warm colors can also stimulate appetites! You might want to keep them in the back third of your home. Take a look at the bagua and see what areas could benefit from a substantial energy boost! I am a child of the 50’s and 60’s and I remember how popular orange was during that period. It also gave us avocado green and an obnoxious yellow. This all seems very ‘retro’. Feels good to reset every now and then. My high school was orange carpeted and orange everywhere! Maybe there was something to that.. nice read! ?